Not only is the 2017 Triumph Scrambler, smoother, easier to ride and more fun than its predecessor, it’s also a handsome and extremely well packaged machine with sweet finishing touches and clever attention to detail. Everyone loves a scrambler. And everyone will love this. Triumph kicked off the retro scrambler platform back in 2006 with their Bonneville-based version which paved the way for a new popular breed. 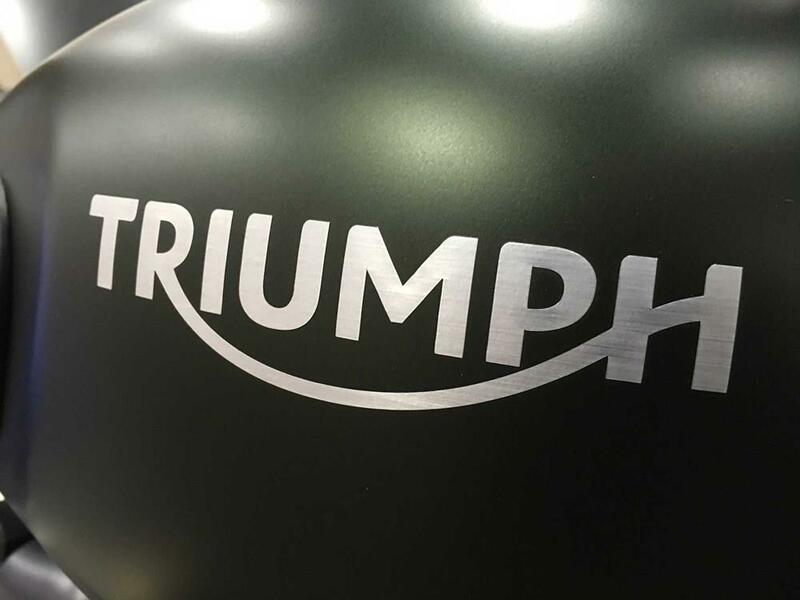 Today’s trend veers towards fun, simple and accessible instead of performance orientated and that’s exactly what Triumph has done with their latest offering. What's more, its decent electronics package, off-road bobbins and classic style will appeal to a wide audience. 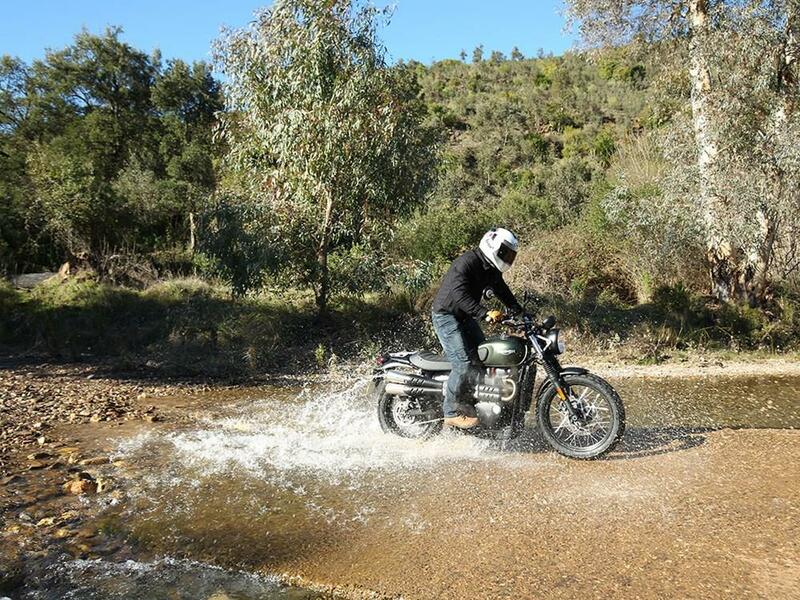 Triumph’s attention to its off-road treatment, style and the superb finish is much appreciated. So here’s what makes it better than the outgoing model. It’s more compact, less intimidating, more usable and thoroughly modern. Swing a leg over the low seat, fire it into life and the new brushed aluminium exhaust system plays a distinctly British tune. Click the slick gearbox into first, the super-light slip-assist clutch is effortless and the 900cc parallel-twin pulls away smoothly. Learn about the other Triumph Scrambler models. Its wide bars make it a hoot to tip into corners and the silky smooth motor and refined throttle make it incredibly easy to manhandle and push harder. The exquisite exhaust just loves it when you crack the throttle open. The longer fork and rear shocks remain poised and focused on every bend and the new Nissin twin-pot caliper and floating disc provide plenty of stopping power. You can wring its neck and it doesn’t get bent out of shape. The Metzeler Tourance tyres do an excellent job of sticking to the tarmac and easily handle gravel tracks too. The Scrambler is fun on light gravel, the suspension does a good enough job of soaking up light bumps, but anything too deep and it’ll bottom out. Most importantly, it’ll instantly slap a smile on your face and you’ll feel like Steve McQueen scanning the countryside for fences (just don’t try jumping them). 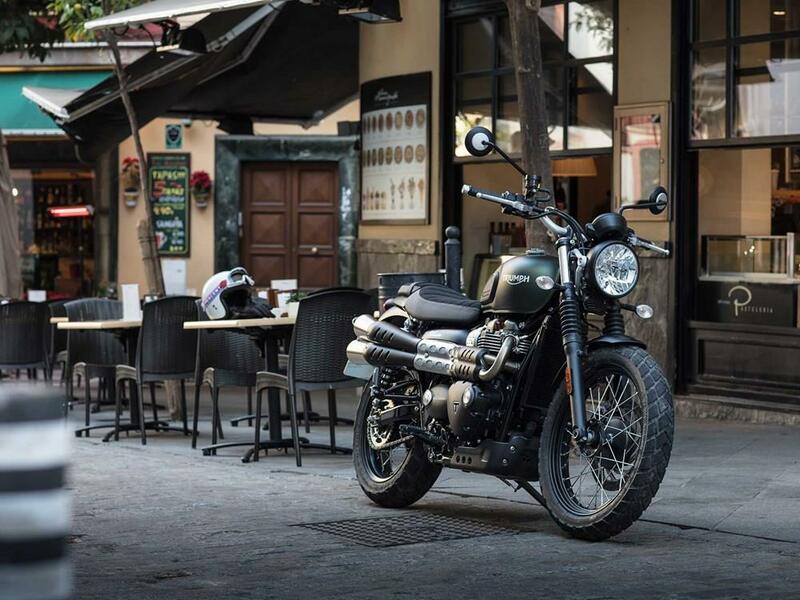 Triumph’s most accessible bike is the Street Twin, launched a year ago, it’s simple, manageable, fun, packed with mod-cons, and more importantly – meets euro4 requirements. So it only makes sense for Triumph to ditch the old 865cc motor and start again with the Street Twin as the donor bike. No complaints here. 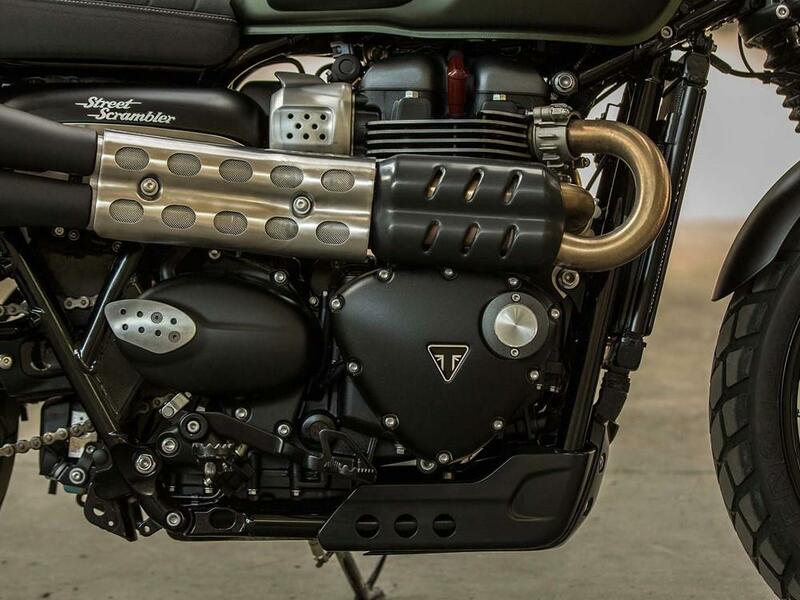 The Street Scrambler gets a new ‘High Torque’ 900cc, liquid-cooled parallel twin motor. The 900cc parallel-twin pulls away smoothly. 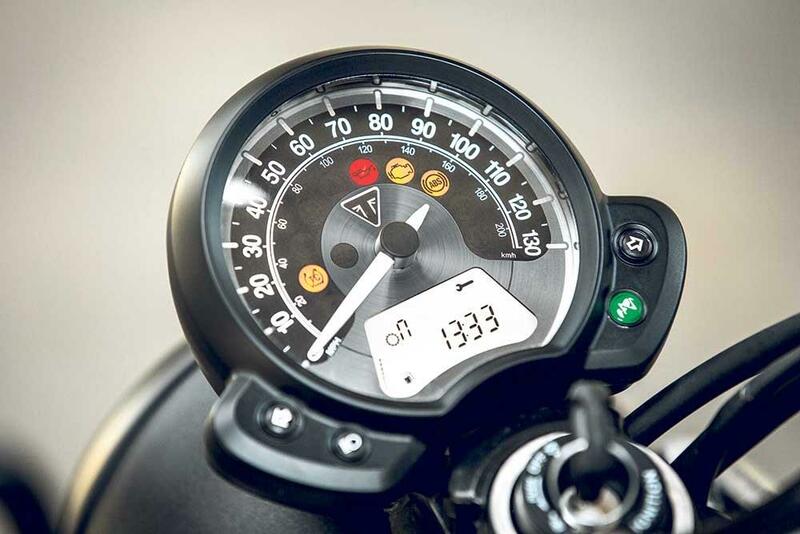 Triumph reckon the new motor produces 28% more power and torque between 2750-4750rpm than the outgoing model and it’s certainly smoother and more refined with a broader spread of power. They also say it’s more fuel efficient and service intervals have been bumped up from 6,000 to 10,000 miles. 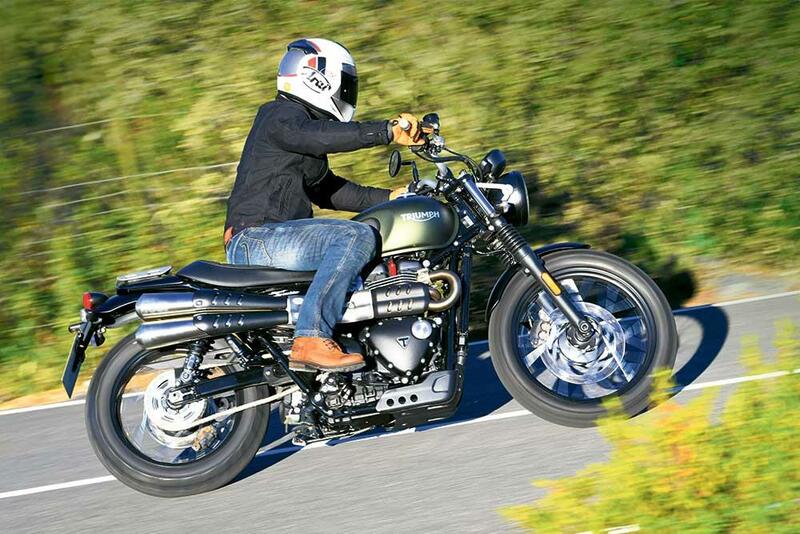 Triumph’s attention to its off-road treatment, style and the superb finish is much appreciated. There are three colour options to choose from, Jet Black - £8,900, Matt Khaki Green - £9,025 and Korosi Red and Frozen Silver - £9,200. 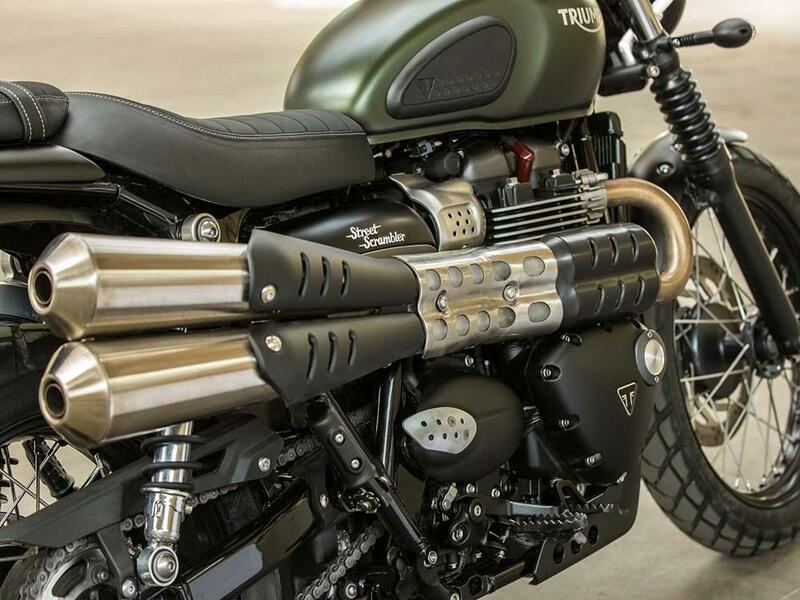 Find Triumph Street Scrambler models at MCN Bikes for Sale. 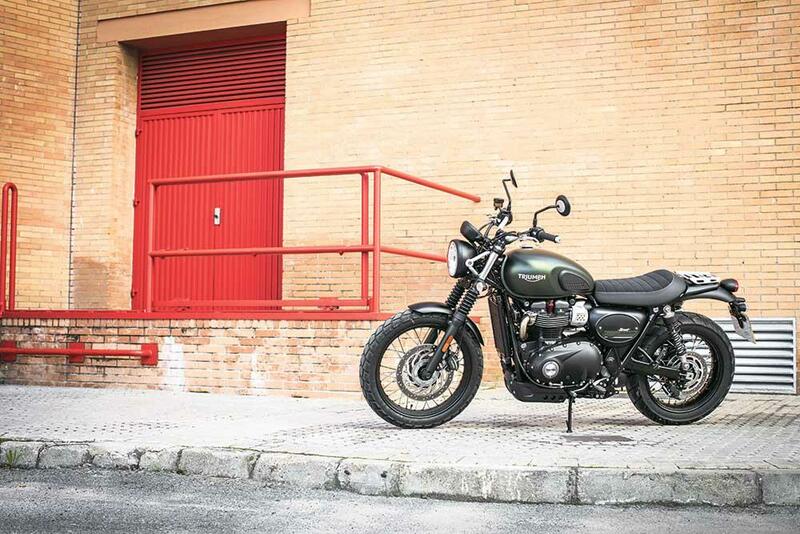 The Triumph Street Scrambler gets switchable traction control, ABS, ride-by-wire and slip-assist clutch all wrapped up in an ultra-friendly package. Traction control and ABS are quickly turned off by thumbing the ‘Info’ button on the switchgear. It also has removable rubber pegs and a bashplate as well as an exquisite new exhaust system. 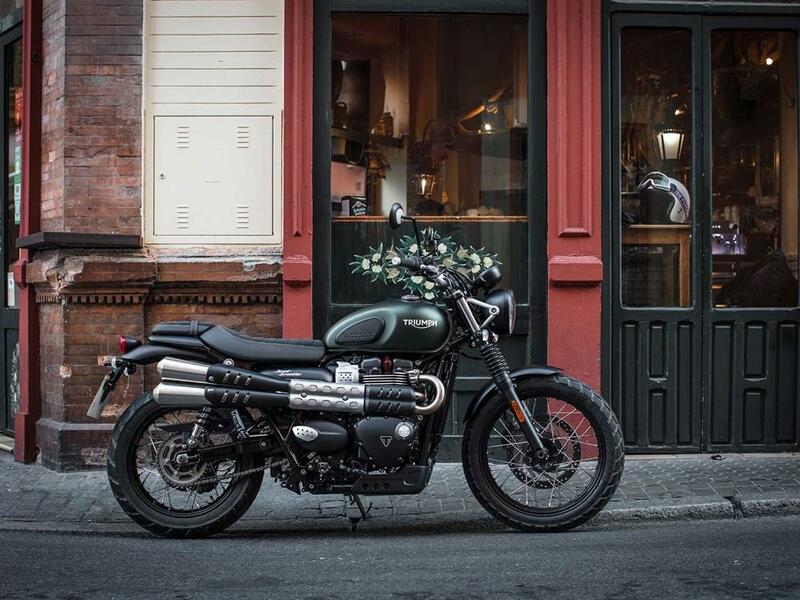 The Street Scrambler sets itself apart from the Street Twin with its scrambler styling, raised and wider handlebar, a more relaxed riding position thanks to a higher and new seat, slightly more forward pegs, a larger 19” spoke front wheel, new mirrors, new longer suspension units front and rear with 120mm travel, posh side mounted exhaust system, uprated Nissin front brake and an interchangeable pillion seat and aluminium rack as standard. But the really sweet extras are found in its off-road CV. 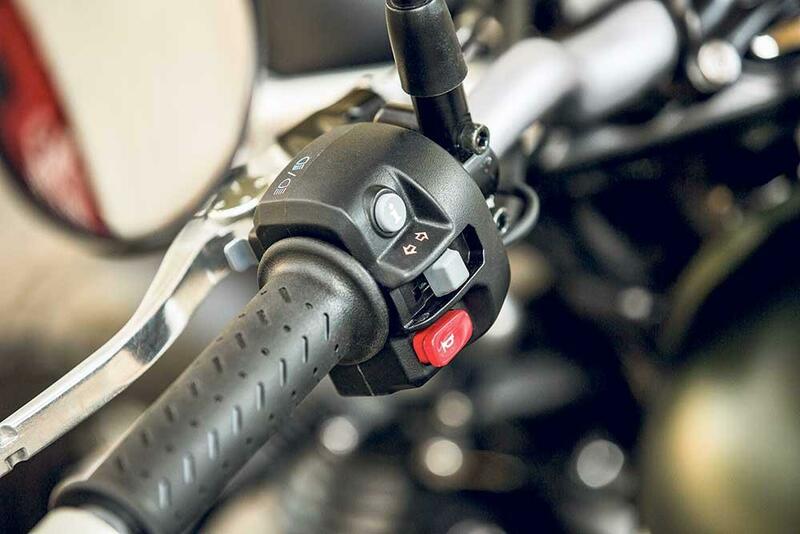 Only the traction control is switchable on the Street Twin, while the Scrambler also allows you to switch off the ABS to lock up and slide the back end in the dirt. It’s also got a hefty sump guard, rubber pads on the tank, big grippy pegs with removable rubber inserts and a large off-road brake pedal. It comes with Metzeler Tourance tyres as standard, which do a commendable job both on the tarmac and gravel tracks. While it’s no enduro bike and we wouldn’t go jumping any fences Steve McQueen-style anytime soon, it’s still fun and has all the dirt bobbins you’d want. 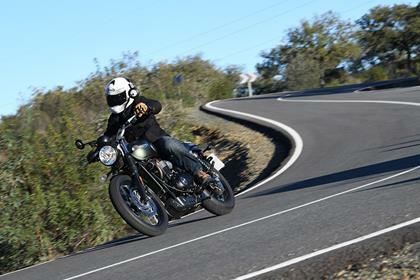 1 owner has reviewed their TRIUMPH STREET SCRAMBLER (2017-on) and rated it in a number of areas. Read what they have to say and what they like and dislike about the bike below. Big smiles from little scram. great bike bike, makes me smile on every ride. this would make a very good first bike for new riders, i also have a speed R but this is a different flavour of bike entirely, puts as big a smile on my face. 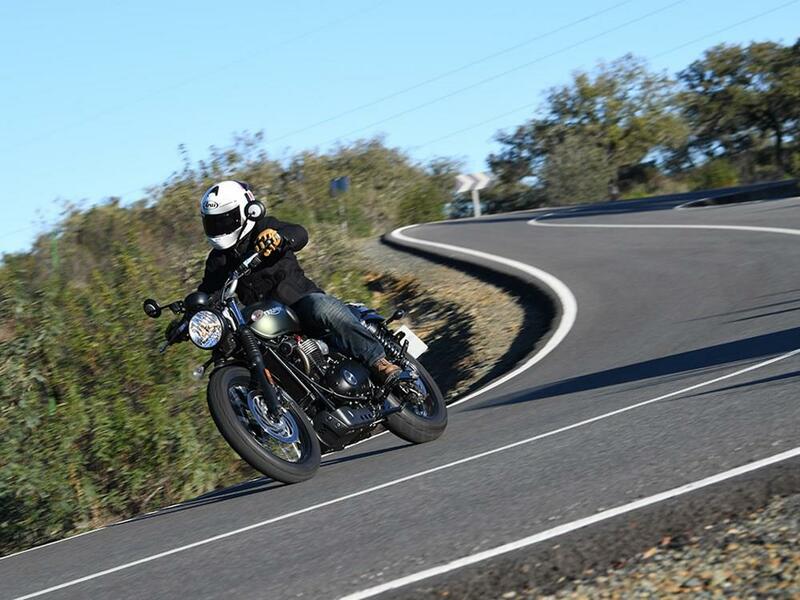 I tried most of the new Bonny range, almost went for the Thruxton R but am very happy with my choice as the street scrambler is more Fun. very smooth most of the time, great on pot holed roads, brakes work well, just remember she is not a sports bike but is surprisingly rapid when asked especially on B roads. suits the bike perfectly, grunt down low and in the mid range but still smooth for a twin. 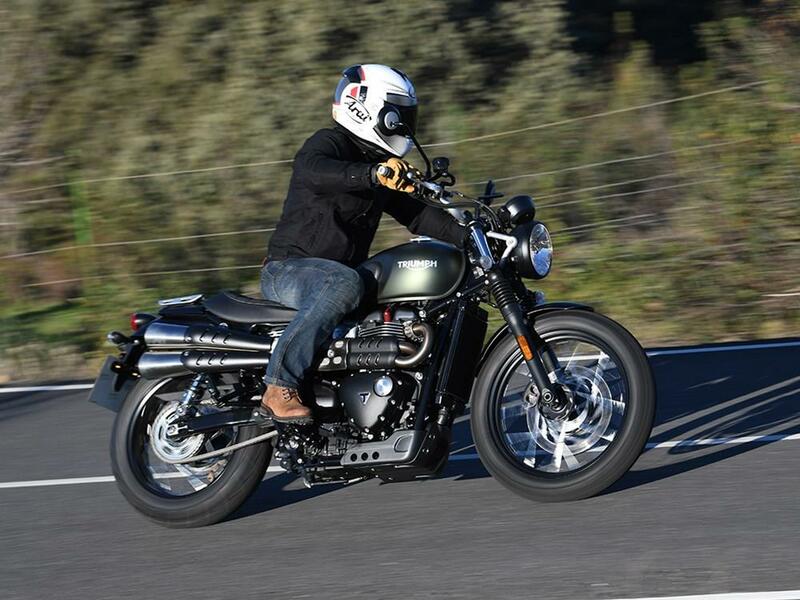 the quality of Triumphs has made a big step for the better on the new Bonneville range. only 1000 mile so far so reliability not tested yet but this is my 6th Triumph with zero problems so far. just the 500 mile service so far but i don`t think the cost will be to bad 10,000 mile intervals will help. i am averaging 69 mpg. i went for heated grips which are very good. the standard rack is handy. i also got the short screen which looks nice, not sure about any benefit of wind blast? LED indicators look much better and are Bright. Do like the LCD rev counter, keeps a clean look with the one clock, but there if you want to see revs. a nice experience all round, as expexted from Carl Rosners.